Started putting the garden to bed today and will have to big time step it up for tomorrow – it is going to get cold soon. The kids bring home so much homework for such little kids – dang school system and the push towards reading equality. I do like all the books they bring home and those neat little scholastic order forms. I really do feel the love, our sweet dear planet. 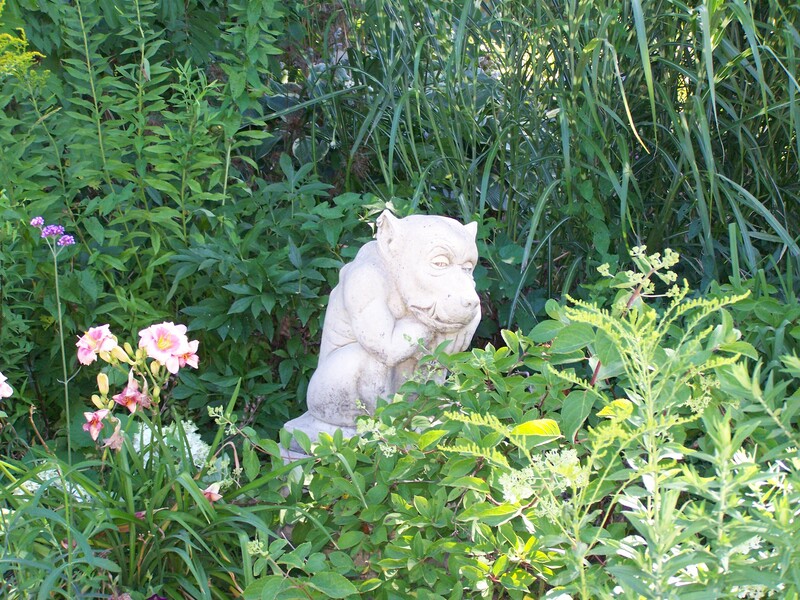 Picture from Monches of the cutest little gargoyle that I covet. Is it really you? OMGoodness! It was so great to see your comment in my blog! How have you been?? ?